Christopher Moore currently serves as Director of Athletic Bands and Coordinator of Percussion Studies at the Georgia Institute of Technology in Atlanta, Georgia. He previously served as Assistant Director and Staff Arranger of the Atlanta Olympic Band and Director of Instrumental Music at Marist School in Atlanta, Georgia. He holds a Bachelor of Arts degree from Jacksonville State University and a Master of Music degree from East Carolina University. Mr. Moore is an active freelance performer, clinician, arranger, composer and film scorer. In 1999 he served as percussion consultant to Wynton Marsalis on three large works for the Lincoln Center Jazz Orchestra and the New York Philharmonic. Mr. Moore is also coordinator of the Falcons Drumline for the Atlanta Falcons Football Team. He is a member of MENC, Phi Mu Alpha, IAJE and the Percussive Arts Society. Benjamin J. Diden is Associate Director of Athletic Bands and Assistant Director of Bands at the Georgia Institute of Technology. He also serves as conductor of the Symphonic Band. His duties include Music Theory, Applied Clarinet instruction and he serves as the Faculty Sponsor of the Epsilon Theta chapter of Tau Beta Sigma. He is currently a candidate for the Doctor of Musical Arts Degree in Wind Conducting at the University of South Carolina. Mr. Diden received the Bachelor of Music in Music Education degree and the Master of Music in Instrumental Conducting degree from the University of Tennessee. 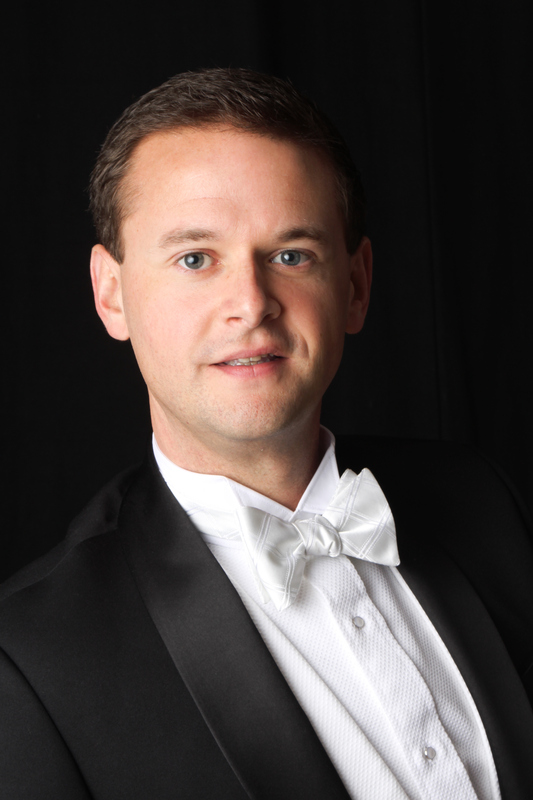 His primary conducting teachers include Dr. Gary Sousa and Professor James Copenhaver. Mr. Diden served as a Graduate Teaching Assistant for the Pride of the Southland Marching Band at UT and the Mighty Sound of the Southeast Marching Band at USC, where he worked extensively with the entire band program of each university. As a graduate assistant and member of the UT Wind Ensemble, he performed at Carnegie Hall in 2003 as part of the New York Wind Band Festival. Mr. Diden has served as a conductor and clinician throughout the southeast, including guest conductor of the USC Symphonic Band performance at the 2008 North American Saxophone Alliance conference. He also taught for several years in the public schools of Tennessee. Mr. Diden is a member of MENC, the College Band Directors National Association, the National Band Association and an honorary member of Tau Beta Sigma and Kappa Kappa Psi. Dr. Chip Crotts serves as Director of Jazz Studies and Assistant Director of Athletic Bands at the Georgia Institute of Technology. A GRAMMY nominated artist, Crotts has performed and recorded for the Disney Company in Europe and the United States, and maintains an active career as a first call musician for national touring shows and orchestral dates throughout the United States. Chip has toured and worked with numerous international artists and ensembles, including Ray Charles, Natalie Cole, Boston Brass, The Manhattan Transfer, Jamie Cullum, Rhythm and Brass, The O’Jay’s, Joan Rivers, Frankie Valli, The Temptations and Maynard Ferguson, among others. Equally at home as a classical performer, Chip has presented numerous university recitals and masterclasses and has performed with the orchestras of North Carolina, Alabama, Huntsville, Charleston, Macon, Austin, Tuscaloosa, Altoona, Abilene, and Chattanooga, among others. He can be heard on recent recordings with John Driskell Hopkins, Jennifer Holliday and Joe Gransden, as well on the SeaBreeze Jazz label with groups such as the Bob Meyer Concept Orchestra and Third Coast Jazz Orchestra. Chip is also a featured musician on the Grammy nominated “Celebration of Life” with Little Joe Y La Famiglia. Additional recordings include performances with the University of Texas Wind Ensemble, University of Texas Jazz Orchestra, Penn State Centre Dimensions and East Carolina Jazz Ensemble “A”. Dr. Crotts has also been a featured soloist in some of the world’s premier musical venues, including Carnegie Hall, the Hollywood Bowl, Birdland, Blues Alley, Le Duc des Lombards (Paris, France) and The Blue Note. As an educator, Dr. Crotts presents clinics nationally on Brass Pedagogy, Jazz Pedagogy, Breathing for Wind Players and Versatility in Performance. Also involved in the marching arts, Crotts has served as a brass instructor with Spirit of Atlanta, Phantom Regiment, The Blue Devils, The Cavaliers and is presently Brass Caption Manager for the Santa Clara Vanguard Drum and Bugle Corps. Chip is very active as a clinician and adjudicator and has served in this capacity with organizations such as Bands of America, Drum Corps International, Drum Corps Japan, DCI Taiwan Marching Academy, Winter Guard International and numerous state and national music educator associations. 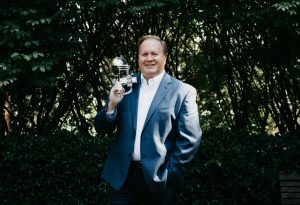 Currently, Dr. Crotts serves as Vice-President of the Georgia Association of Jazz Educators, as well as being a member of NAfME, the American Federation of Musicians, the Jazz Education Network and The International Trumpet Guild. He is a past fellowship recipient from the Aspen Music Festival and Music at the Banff Centre (Canada), as well as a grant recipient from the National Endowment for the Arts and the Georgia Tech Foundation. Most recently, Dr. Crotts was selected as a Georgia Tech “Class of 1969 Teaching Fellow” and the Center for the Enhancement of Teaching and Learning “2017 Teaching Award”. 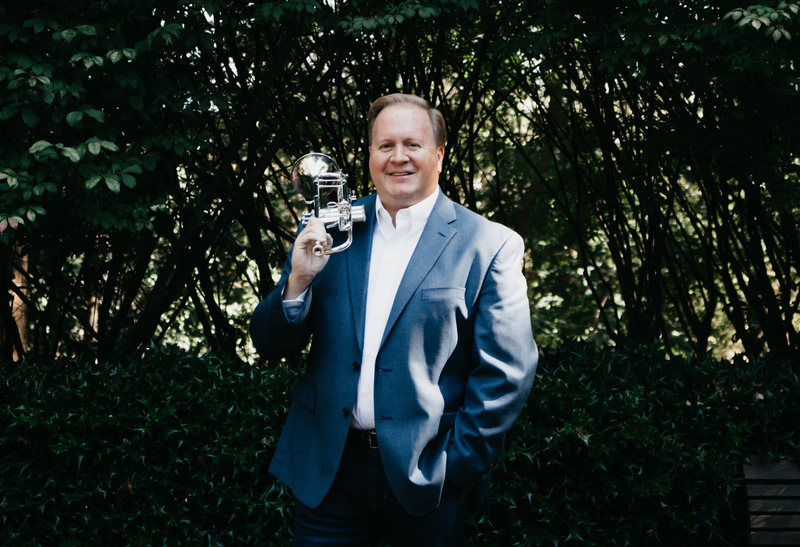 Dr. Crotts received his undergraduate degree in Music Business from East Carolina University, a Master of Music in Orchestral Performance from Penn State University, as well as the Doctor of Musical Arts degree in Trumpet Performance with a Jazz Emphasis from the University of Texas at Austin. His primary teachers include Ray Sasaki, Ray Crisara, John Daniel and Tom Huener, including additional studies with Boyde Hood and Roger Ingram. Previously, Chip served on the faculties of Samford University, Jacksonville State University and The University of Texas at Austin. A Yamaha Performing Artist and Clinician, Chip resides in Acworth, GA with his wife Kelly and daughter Abigail. 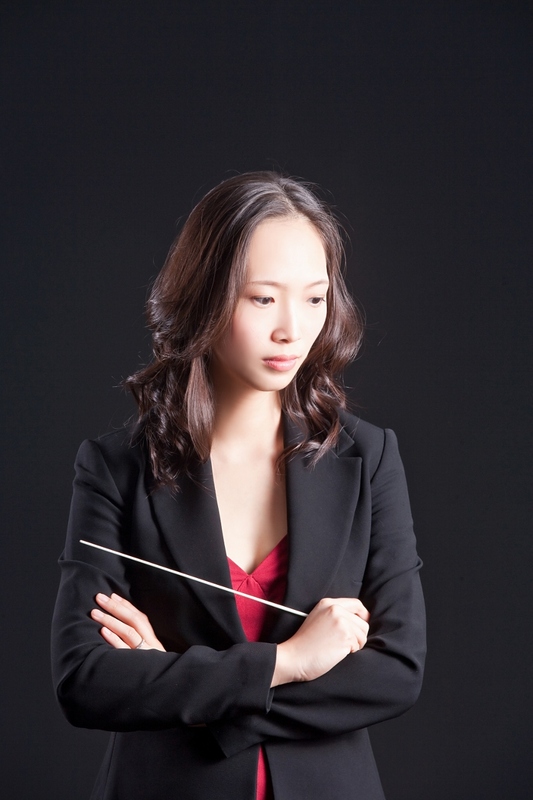 Winner of the 2009 International Conductors’ Workshop and Competition in Macon, Dr. Chaowen Ting is Director of Orchestral Studies and and Assistant Director of Bands at the Georgia Institute of Technology. She serves as conductor of the Georgia Tech Symphony Orchestra (GTSO), Chamber Strings, and Concert Band. Ting also supervises the chamber music program.